Newland Chase provides clients with a deep expertise in all areas of Kuwaiti Immigration as well as effective advice wherever in the world our clients undertake their business. We invest in the best talent to bring you immigration solutions customised to your business needs. Our immigration consultants provide clear and practical solutions in Kuwait and globally through 70 offices around the world. Which industries commonly employ expats in Kuwait? Kuwait’s economy is mainly dominated by their massive oil industry. Kuwait has crude oil reserves of around 102 million barrels, and petroleum accounts for close to half of Kuwait’s GDP. There are huge opportunities for expatriates to work in these sectors. The manufacturing sector is also dominated by oil products and is mainly export-oriented. Recently, the fastest growing fields in the service sector have been real estate, business services and finance, which offer various opportunities for expats. What are the different types of employment visas available for working in Kuwait? The most usual type of employment visa for Kuwait is the Work and Residence Permit (Iqama). A local Arabic employment contract should be signed between the applicant and the sponsoring entity in Kuwait before a No Objection Certificate (NOC) Application is submitted by the entity in Kuwait to the General Administration of Criminal Investigation at the Ministry of Interior to verify that there are no pending criminal investigations regarding the applicant and no security objections to their work permit application. Once the NOC is obtained, the assignee must submit the work permit application to their nearest Kuwait Embassy/Consulate, undergo a medical exam and apply for the entry visa As soon as possible after approval of the work permit, the foreign national employee must enter Kuwait with their work entry visa and undergo a local Immigration Medical and Fingerprinting and Security Clearance. A final work and residence permit (Iqama) application must be filed within 30 days of arrival before applying for a local ID card. Passport, CV, degree certificate, Medical Certificate, Police Clearance Certificate, Ministry of Public Health Certificate, Ministry of Interior Certificate, NOC document, Lease contract for residence in host country, Security clearance (fingerprint) certificate, marriage certificate and birth certificate for any family dependants; as well as a variety of corporate documents which may include: job description, Local Employment Contract, PRO Documentation, Corporate Trade Licence. Some personal documents will also need to be attested/legalised and/or translated prior to submission. Newland Chase can assist with this. It typically takes 2 to 7 months until entry to Kuwait, and a further 1 to 2 months before the whole process is completed. Note that the processing time for the Entry visa will be around 2 days. However, the process for the Iqama application can take weeks. All formalities have to be completed within 60 days of entry; otherwise a fine may be levied. The Entry Visa will be issued for between 30 – 90 days, depending on nationality. The Iqama will be valid is issued for an initial maximum duration of 5 years. Can an assignee enter Kuwait on a business/tourist visa? Those who are in Kuwait on a visitor visa may not take up any sort of employment. Working in Kuwait requires a Work Permit and an Iqama. You may not switch immigration categories from a visitor to an employment visa in-country. If you wish to undertake work in Kuwait you must first return to your country of residence and apply for the relevant work visa. Once your employment visa has been approved, you may enter Kuwait and undertake your employment. Can an assignee apply for permanent residence in Kuwait? In exceptional cases, an employer could reward an employee with residence permit of indefinite duration. This is rare, and it is not citizenship, but does allow for an indefinite stay in Kuwait. Citizenship may be offered to a foreigner who has provided outstanding service to the state. The only official way to become a naturalized citizen is by marriage to a national. However, this is hardly easy and is hardly ever granted to non-Muslims. Kuwait only grants citizenship to children with a Kuwaiti father. Children of a Kuwaiti mother or foreign father are not eligible to apply.  In some countries timescales for obtaining police clearance certificates can be lengthy and some documents will require Apostille or legalisation, which can also involve lengthy processing times.